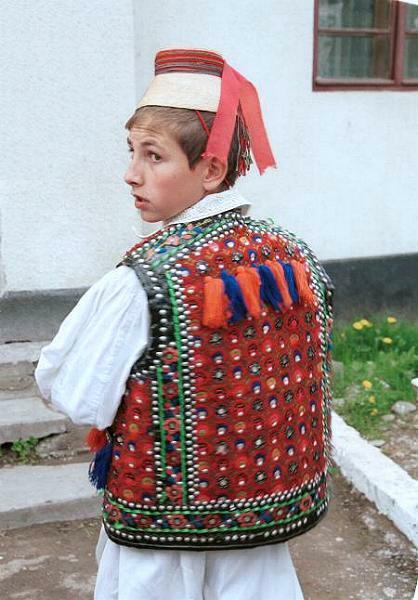 Small straw hat (clop) decorated with rows of small multi-coloured beads and worn in Maramureș. Sheepskin pieptar edged with appliqué leather decoration and decorated with embroidery in red, blue and green wool and inset with small pieces of mirrors and studs. Photo taken in Bârsana, Iza valley, Maramureș in April 2002.